UPSEE COUNSELING Uttar Pradesh State Entrance Examination UPTU Dr. APJ AKTU . After the declaration of results, the students searching for top private/government engineering colleges of the university. The main hub and first choice for the students is Ghaziabad and Noida. The students look for the TOP PRIVATE ENGINEERING COLLEGES IN GHAZIABAD/NOIDA REGION. 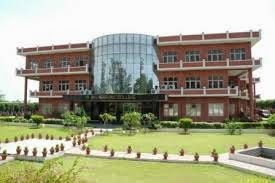 Here we have come up with the detailed info about the top colleges of Ghaziabad GB Nagar region. There is a provision of admission in these colleges through UPSEE COUNSELLING or through DIRECT ADMISSION SEATS. The given below is the ranking of top colleges of Ghaziabad, (GB Nagar) Noida and Greater Noida. The ranking of these colleges may vary on different portals. Placement. college, study level and infrastructures are kept in mind before ranking these colleges. The rankings given above are for the year . The students will get the seats in these colleges depending upon their UPSEE RANK. The college AKGEC has always become the first and foremost choice of the students for private colleges of Uttar Pradesh. The placement of the college is excellent and the toppers are always come from AKGEC. 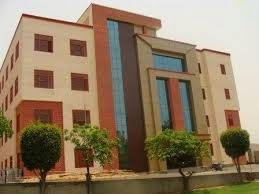 No one can better private college than AKGEC in Ghaziabad. The rankings given above are for the year . The students will get the seats in these colleges depending upon their UPSEE RANK. KIET is known in the university for its excellent placement and job opportunities. You will get great experiences here in this college. The meritorious students are always there from KIET. The university rank holders are also from the same college. With a focus on multidisciplinary research and education and a learning model that emphasizes active learning, GU aspires to be globally known for innovation at the intersection of disciplines. Spread in over 64000 square meters, College has more than 80 state-of-the-art lecture theaters and 7 seminar halls equipped with LCD projector and PA system, 3 conference rooms and 1 state-of-the-art theater auditorium with a seating capacity of five hundred. A composite training program in academics, personality development and entrepreneurship programs- encouragement in R&D amongst students and the faculty, industry-institution interface, value-added programs initiated by industry, high campus placements by top-notch companies supported by meticulously planned infrastructure has made ABES one of the preferred and highly sought after Institution under UPTU. RKGIT is one of the topmost college of Ghaziabad, It has a great record of placement and study level. The infrastructure of the college is also very good. The placements are among the top colleges. The institute has a great record of placement this year. The students are also winner in many IIT college competitions and various opportunities are provided to the students. For the good development of the personality, this college is not below than the other top colleges. IMSEC is one of the top-notch engineering college of the entire NCR of Delhi by virtue of providing technical education and 100% employability prospects of its students.IMSEC bestowed with "Excellance in Overall Performance"Award jointly by AICTE & UP Govt. (National UP Education Award 2013. It is also recipient of 3rd Position for Excellent Academic Performance among all Engineering Colleges of National Capital Region (NCR).IMSEC Ghaziabad is NAAC Accredited for maintaining world class quality in Education & Infrastructure.The highly qualified and committed faculty, the state-of-the-art laboratories, Computer Centre and Learning Resource Centre, the wholesome pedagogic ambience, provide the student the most exciting and gainful opportunities for the acquisition of knowledge and technical expertise to groom and orient the young minds.IMSEC Ghaziabad is TCS Accredited for Placements & Project Activities. The college has a full-fledged Training and Placement Department, which interacts with corporate houses to explore the possibility of training and job placement of students. Counseling is provided to groom students to meet the standards of the industry not only in technical knowledge but also in interpersonal and communication skills. Interactive seminars on the emerging technologies, personality development programs, career counseling and industrial visits are arranged to provide an excellent exposure to students. The given above is the list of UPTU TOP PRIVATE ENGINEERING COLLEGES OF GHAZIABAD/NOIDA.